teachers. Similar results were reported by Kane et al (2006); Rivkin et al. (2005); Decker, et al. effective in dealing with different types of teacher responsibilities. functioning and upright at the recruitment policy by planners. Salamuddin, N., Harun, M. T. & Abdullah, N. A. D. (2011). Teachers’ Competency in School Extra-Curricular Management, World Applied Sciences Journal, 15 (Innovation and Pedagogy for Lifelong Learning), 49-55. Blatchford, P., Moriarty, V., Edmonds, S., & Martin, C. (2002). Relationships between class size and teaching: A multi method analysis of English infant schools. American Educational Research Journal, 39 (1). 101-32. EJ649893. Carnegie Forum on Education and the Economy. (1986). A Nation Prepared: Teachers for the 21st Century. New York: Carnegie Forum. Caruso, D., Mayer, J. D., & Salovey, P. (2002). Relation of an ability measure of emotional intelligence to personality. Journal of Personality Assessment, 79, 306-320. Chan, D. W. (2008). Emotional intelligence, self-efficacy, and coping among chinese prospective and in-service teachers in Hong Kong (EJ799375). Educational Psychology, 28 (4). 397-408. Clotfelter, C. T., Ladd, H. F. & Vigdor, J. L. (2007b). Teacher Credentials and Student Achievement in High School: A Cross-Subject Analysis with Student Fixed Effects (CALDER Working Paper 11). Washington, DC: The Urban Institute. Clotfelter, C. T., Ladd, H. F. & Vigdor, J. L. (2007a). How and Why Do Teacher Credentials Matter for Student Achievement? (CALDER Working Paper 2). Washington, DC: The Urban Institute. Conley, S. & Cooper, B. (1991). The School as a Work Environment: Implications for Reform. Boston: Allyn and Bacon. Cross, C. T., & Rigden, D. W. (2002). Improving teacher quality. American School Board Journal, 189 (4). 24-272. http://eric.ed.gov/?id=EJ642952. Darling-Hammond, L. (1984). Beyond the Commission Reports: The Coming Crisis in Teaching. Santa Monica, CA: Rand Corporation. Darling-Hammond, L. (1995). The Current Status of Teaching and Teacher Development in the United States. Paper prepared for the National Commission on Teaching and America’s Future. Decker, P. T., Mayer, D. P., & Glazerman, S. (2004). The effects of Teach For America on students: Findings from a national evaluation. Washington, DC: Mathematica. Retrieved from http://www.teachforamerica.org/documents/mathematica.results_6.9.04.pdf. Harris, D. N. & Sass, T. R.. 2007. Teacher Training, Teacher Quality, and Student Achievement (CALDER Working Paper 3). Washington, DC: The Urban Institute. Holmes Group. (1986). Tomorrow’s Teachers. East Lansing, MI: Holmes Group. Kalita, A. (2012). A study on managing effectiveness of secondary school teachers in Guwahati city, India. The Clarion, 1 (2), 238-241. Kane, T. J., Rockoff, J. E. & Staiger, D. O. (2006). What Does Certification Tell Us about Teacher Effectiveness? Evidence from New York City (Working Paper 12155). Cambridge, MA: National Bureau of Economic Research. Kauts, A., & Saroj, R (2010). Study of teacher effectiveness and occupational stress in relation to emotional intelligence among teachers at secondary stage. Journal of History and Social Sciences, 1(1). Retrieved from http://jhss.org/archivearticleview.php?artid=85. Ladd, H. F. (Eds.). (2008). Proceedings from second annual CALDER research conference’ 2008: The Ins and Outs of Value-Added Measures in Education: What Research Says. Washington, D.C.: The Urban Institute. Retrieved from http://www. caldercenter.org/upload/Sunny_Ladd_presentation.pdf. Manu, V. & Yellappa, P. (2013). Teaching effectiveness of secondary school teachers in relation to their teaching aptitude. Research Analysis and Evaluation (International Referred Research Journal), April-May (Combined), 4 (43-44). Mayer, J. D., Salovey, P., & Caruso, D. (2004b). Emotional intelligence: Theory, findings and implications. Psychological Inquiry, 15(3), 197-215. Onderi, H. & Croll, P. (2009). Teacher self-perceptions of effectiveness: a study in a district of Kenya. 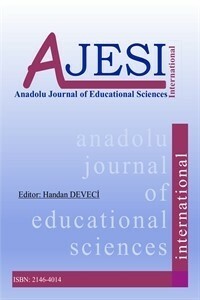 Educational Research, 51 (1), 97-107. http://web.ebscohost.com (37195163). Reynolds, A., Reagin, M., & Reinshuttle, K. (2001). Less is more: What teachers say about decreasing class size and increasing learning. American School Board Journal, 188 (9), 30- 32. http://eric.ed.gov/?id=EJ632483. Rivkin, S. G., Hanushek, E. A., & Kain, J. F. (2005). Teachers, schools, and academic achievement. Econometrica, 73(2), 417–458. Rosenholtz, S. (1989). Teacher’s Workplace: The Social Organization of Schools. New York: Longman. Sergiovanni, T.J. & Moore, J. (1989). Schooling for Tomorrow. Boston: Allyn and Bacon. Singh, P. R. (2012). Study of Effectiveness of Secondary School Teachers. Shodh, Samiksha Aur Mulyankan (International Referred Research Journal), 4 (42). Singh, Y. G. (2012). Teacher’s effectiveness in relation to Their some Variables. Shodh, Samiksha Aur Mulyankan (International Referred Research Journal), 3 (37). Sutton, R. E & Whitely, K.F. (2003). Teachers Emotions and Teaching: a Review of the Literature and Directions for Future Research. Educational Psychology Review, 5 (4), 327-358. Talbert, J. & McLaughlin, M. (1993). Teacher Professionalism in Local School Contexts. American Journal of Education, 102, 123–153. Weis, L., Altbach, P., Kelly, G., Petrie, H., & Slaughter, S. (1989). Crisis in Teaching. Albany, NY: State University of New York Press.